^ The average commercial electricity rate in Sand Point, AK is 84.11¢/kWh. 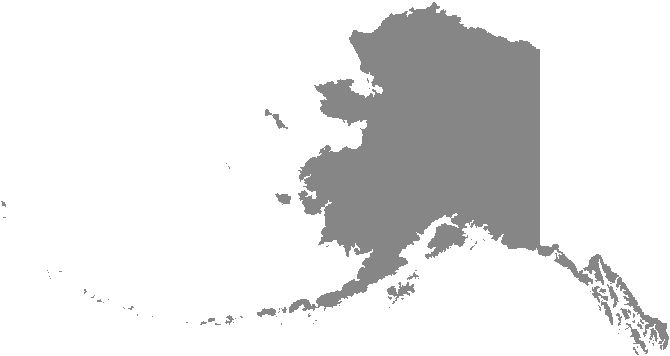 ^ The average residential electricity rate in Sand Point, AK is 84.35¢/kWh. ^ The average industrial electricity rate in Sand Point, AK is 16.82¢/kWh. The average commercial electricity rate in Sand Point is 84.11¢/kWh. This average (commercial) electricity rate in Sand Point is 463.36% greater than the Alaska average rate of 14.93¢/kWh. The average (commercial) electricity rate in Sand Point is 733.6% greater than the national average rate of 10.09¢/kWh. Commercial rates in the U.S. range from 6.86¢/kWh to 34.88¢/kWh. The average residential electricity rate in Sand Point is 84.35¢/kWh. This average (residential) electricity rate in Sand Point is 371.76% greater than the Alaska average rate of 17.88¢/kWh. The average (residential) electricity rate in Sand Point is 610.02% greater than the national average rate of 11.88¢/kWh. Residential rates in the U.S. range from 8.37¢/kWh to 37.34¢/kWh. The average industrial electricity rate in Sand Point is 16.82¢/kWh. This average (industrial) electricity rate in Sand Point is equal to the Alaska average rate of 16.82¢/kWh. The average (industrial) electricity rate in Sand Point is 152.17% greater than the national average rate of 6.67¢/kWh. Industrial rates in the U.S. range from 4.13¢/kWh to 30.82¢/kWh. The average commercial electricity rate in Alaska is 14.93¢/kWh, which ranks 3rd in the nation and is 47.97% greater than the national average rate of 10.09¢/kWh. Commercial electricity consumption in Alaska averages 4,911 kWh/month, which ranks 41st in the nation and is 21.27% less than the national average of 6,238 kWh/month. The average monthly commercial electricity bill in Alaska is $733, which ranks 10th in the nation and is 16.53% greater than the national average of $629. The average residential electricity rate in Alaska is 17.88¢/kWh, which ranks 2nd in the nation and is 50.51% greater than the national average rate of 11.88¢/kWh. Residential electricity consumption in Alaska averages 654 kWh/month, which ranks 43rd in the nation and is 27.57% less than the national average of 903 kWh/month. The average monthly residential electricity bill in Alaska is $117, which ranks 15th in the nation and is 9.35% greater than the national average of $107 per month. The average industrial electricity rate in Alaska is 16.82¢/kWh, which ranks 2nd in the nation and is 152.17% greater than the national average rate of 6.67¢/kWh. Industrial electricity consumption in Alaska averages 91,131 kWh/month, which ranks 27th in the nation and is 18.75% less than the national average of 112,158 kWh/month. The average monthly industrial electricity bill in Alaska is $15,329, which ranks 14th in the nation and is 104.85% greater than the national average of $7,483. Electric bills: The average residential electricity bill in Alaska is about $117/month, ranking 15th in the U.S. and 9.35% greater than the national average of $107. Sand Point is a city located in Aleutians East County in the state of Alaska, and has a population of approximately 976. For more information about Sand Point electricity, or for additional resources regarding electricity & utilities in your state, visit the Energy Information Administration.